MAVERick Equipments Stretch Tape Wrapping systems provide a real alternative to stretch film for high speed pallet wrapping. For many industries stretch tape has now become a preferred option for pallet stabilisation when compared with conventional stretch film. Stretch tape wrappers provide up to 90% savings in waste plastic and are the gold standard containment system when ventilation of the product is required. For use with 3M stretch tape these systems are in use throughout Australia and the US and have become the preferred product in many industries. Using the MAVERick Stretch Tape Wrapper to apply stretchable tape is easy for any pallet configuration. 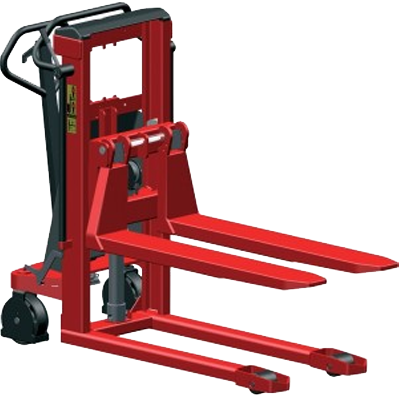 A stable pallet load that can be transported and stored with confidence. Suitable for export. 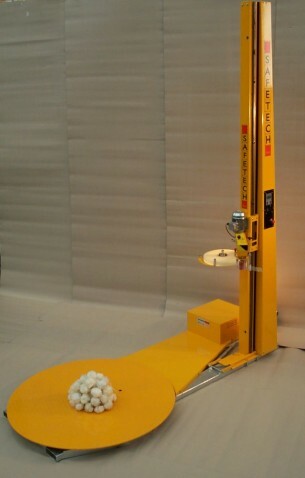 Semi-Automatic mast wraps loads up to 2600mm high. Touch pad controls enable operators to easily select the optimum pattern for each pallet load. Options include the ability to program banding suitable for in-house storage or full multi-x patterns that provide maximum load stability. The unique properties of the patented 3M tape allow 95% or more waste reduction by volume versus stretch film or netting. Plus the 3M Stretch Tape is recyclable. The best way to reduce waste is to eliminate it at source and this is exactly what the use of 3M stretchable tape achieves. Only a handful of tape is needed to achieve load stability. Dramatically reduced waste, slashes your handling and disposal costs. 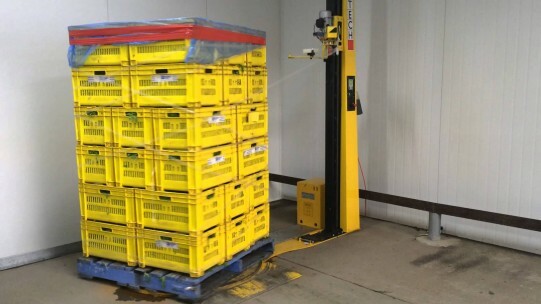 Total air flow prolongs the shelf life of fruit and vegetable products. Avoids damage to packaging caused by “sweating” inside plastic film wrap. Saves days of production time for products that require cooling eg. dairy foods and sauces. Removal of tape is simple and waste is negligible. Produce – including apples, pears, bananas, avocadoes, mangoes, apricots, berries, eggs, vegetables. Dairy foods where product is chilled. Stretch tape allows rapid cooling unlike stretch film. Bottling and canning operations where product can “sweat” when wrapped hot in stretch film. For waste conscious industries – 90% reduction in plastic waste. Ideal for automated pallet handling systems where stretch film “dags” create pallet rejection problems. Lightweight product is difficult to wrap but can be accommodated if all circumstances are known. Forklift access is necessary with all but the lowest profile wrappers. 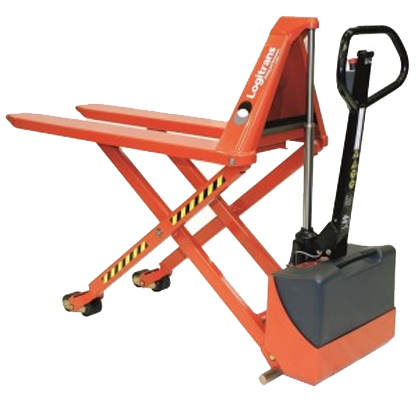 Any wrapper in excess of 30mm height is not ideally suited to hand pallet truck access. Stretch wrapper purchase involves understanding exactly what your requirements are with respect to no. 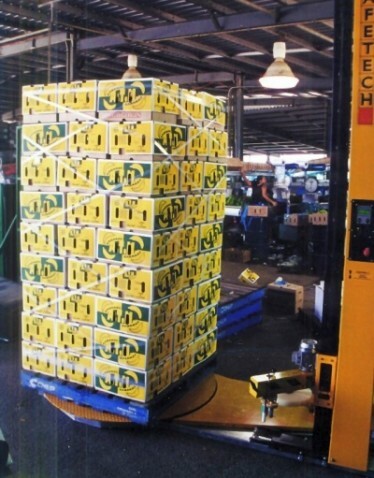 of pallets wrapped per day, the rate of wrapping required, the nature of the goods to be wrapped, the film used, the way the product will be loaded into the wrapper and the conditions under which the wrapper must operate. The kind of wrapper selected will vary according to all of these requirements as will the cost savings and wrap quality.